Difficult financial situations, illnesses or other circumstances can make monthly student loan payments exceptionally difficult. Fortunately, borrowers with federal student loans can use deferments, a process that postpones payments. Deferments are granted for economic hardship, unemployment, military deployment or enrollment in school (at least half-time). Depending on the type of federal loan, interest may not accumulate during the deferment period. We can use a hypothetical example to further illustrate what deferments are and how they can help borrowers. Bob is a recent college graduate with a Bachelor of Arts in Business Administration and $17,500 in subsidized Direct Loans. For the last seven months, Bob has been unable to find a full-time job. With student loan payments fast approaching, Bob needs to take quick action. Bob decides to call up his loan servicer, where he is then instructed to fill out an unemployment deferment form for his loans. As instructed, he provides the relevant information and confirms he is looking for work. Several weeks later, Bob’s loan servicer grants him an unemployment deferment. During this six-month period, Bob will not have to make payments and interest will not accumulate on his loans (because they are subsidized Direct Loans). Once Bob lands a job, he can exit deferment status and begin making payments. This is only one example of when it might be beneficial to request a deferment from a loan servicer. Keep in mind, unemployment deferments can only be used for three years on most federal loans. How Can I Request a Student Loan Deferment? To request a deferment, contact your student loan servicer and fill out the appropriate paperwork. Many servicers allow this process to be completed online with a digital signature. The paperwork for an unemployment deferment will ask if you are currently looking for full-time work and have registered with an employment agency. Borrowers can also submit proof they are eligible to receive unemployment benefits. For borrowers with Perkins Loans, contact the school you attended to receive the necessary paperwork. 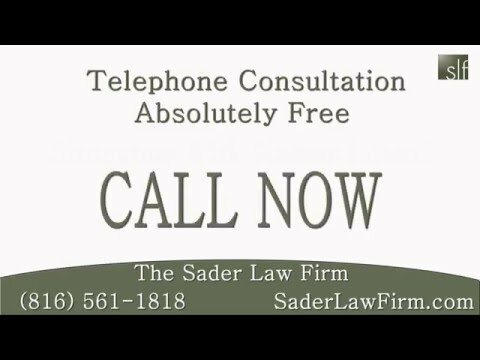 The Kansas City bankruptcy attorneys at The Sader Law Firm have experience helping graduates overwhelmed by student loans. ← What Options Do I Have to Reduce My Student Loan Debt?